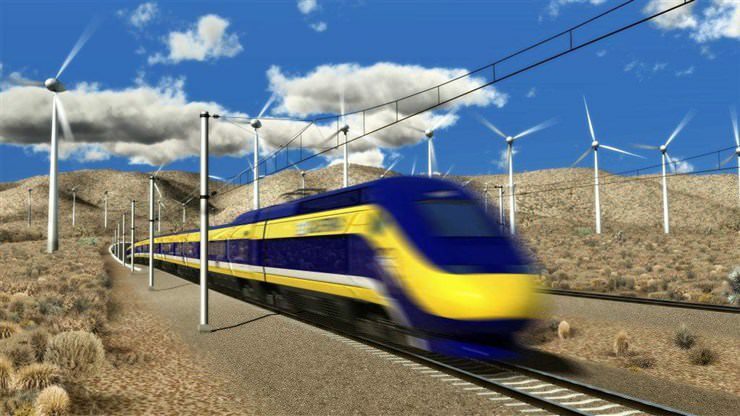 SACRAMENTO, Calif. – The California High-Speed Rail Authority (Authority) has identified California Rail Builders as the Apparent Best Value Proposer for the Design-Build Services Contract for Construction Package 4, the next segment of construction through the counties of Tulare and Kern and the cities of Wasco and Shafter. The Authority had estimated the cost of Construction Package 4 to be between $400 million to $500 million, but has determined that California Rail Builders, who bid $347,557,000.00 million, presented the “Apparent Best Value.” The ranking and scores for all Proposers are attached. California Rail Builders, who is comprised of Ferrovial Agroman US Corp., has designed and constructed more than 65 high-speed rail projects worldwide. Over the past eight years, Ferrovial has been awarded seven major design-build contracts in North America totaling $8 billion, including North Tarrant Express Segment 3A and 3C in Texas and Berth 142-143 Backland Automated Terminal in California. In the competitive bidding process, five teams submitted Proposals to the Authority for the Design-Build Services Contract. Design-build combines project design and construction into a single contract. The Proposals were evaluated and ranked based on 30 percent for technical merit and 70 percent price. Factors such as an understanding of the project, schedule capacity, project approach and safety were part of the technical scoring. In November 2014, the Authority issued a Request for Qualifications for potential design-build teams interested in the contract. Five teams were deemed qualified and began competing for the contract. On November 25, 2015, five teams submitted proposals, which were then reviewed by an evaluation panel of Authority staff and a representative from the City of Wasco. This contract contains the Authority’s 30 percent Small Business participation goals and assents to the Community Benefits Agreement, which is designed to target disadvantaged workers and provide them with job and training opportunities. The Authority will continue to finalize the procurement process and a contract term sheet outlining the material provisions of the current contract will be presented to the Board of Directors at the January 12, 2016 Board meeting in Sacramento. At that meeting, Authority staff will seek approval to conduct limited negotiations and enter into a contract with the Apparent Best Value Proposer. McKim & Creed Ranked Among Top 50 Trenchless Design Firms in U.S.